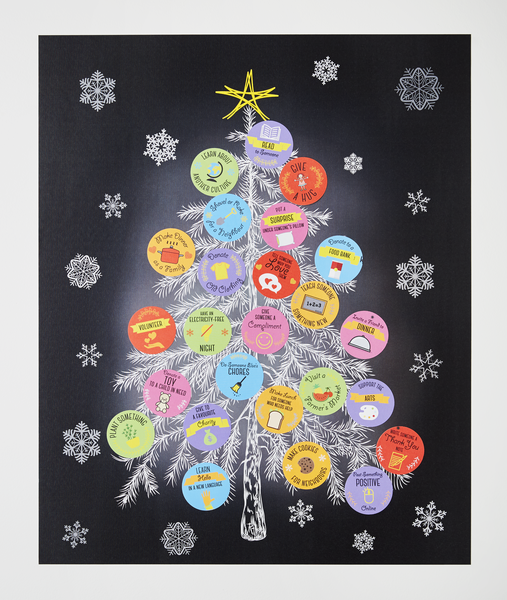 From whisky to art supplies to random acts of kindness, there seems to be an advent calendar filled with just about everything these days. 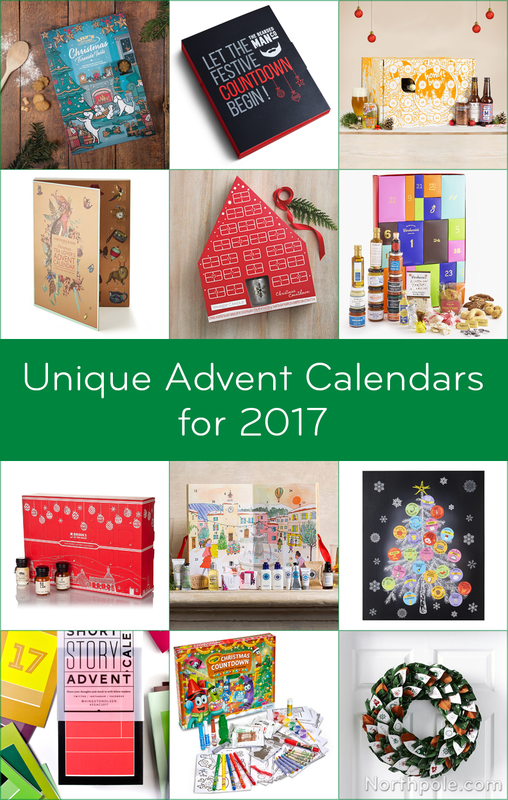 So if you are looking to count down to Christmas with something other than chocolate, check out these somewhat unusual advent calendars. 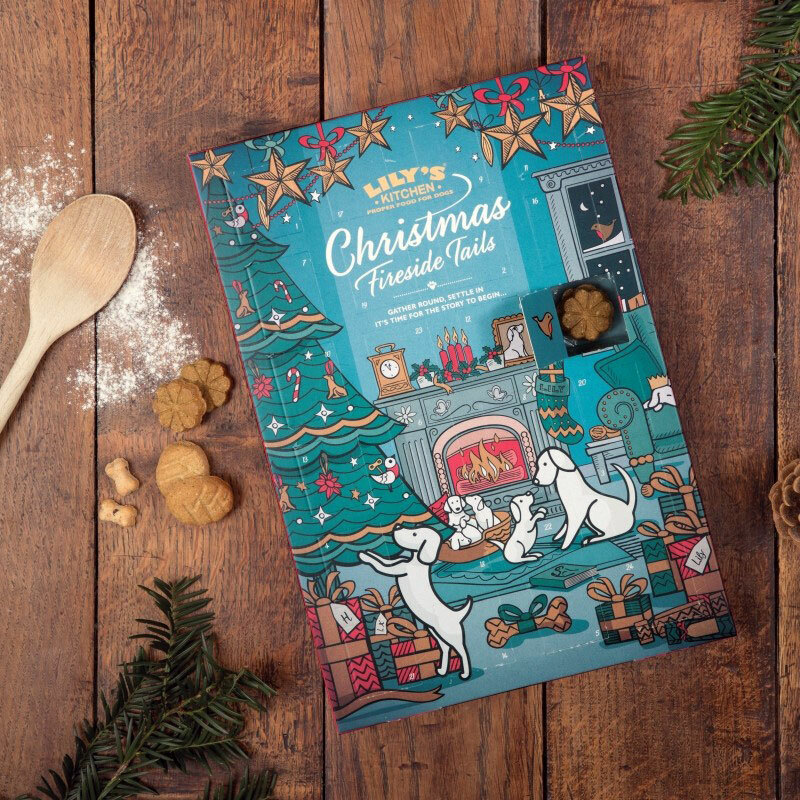 Share the joy of the holiday season with your favourite furry friend by gifting him this advent calendar for dogs from Lily’s Kitchen. 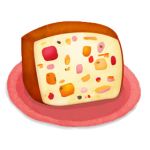 Filled with naturally wholesome, tasty treats, this calendar will surely get two paws up. 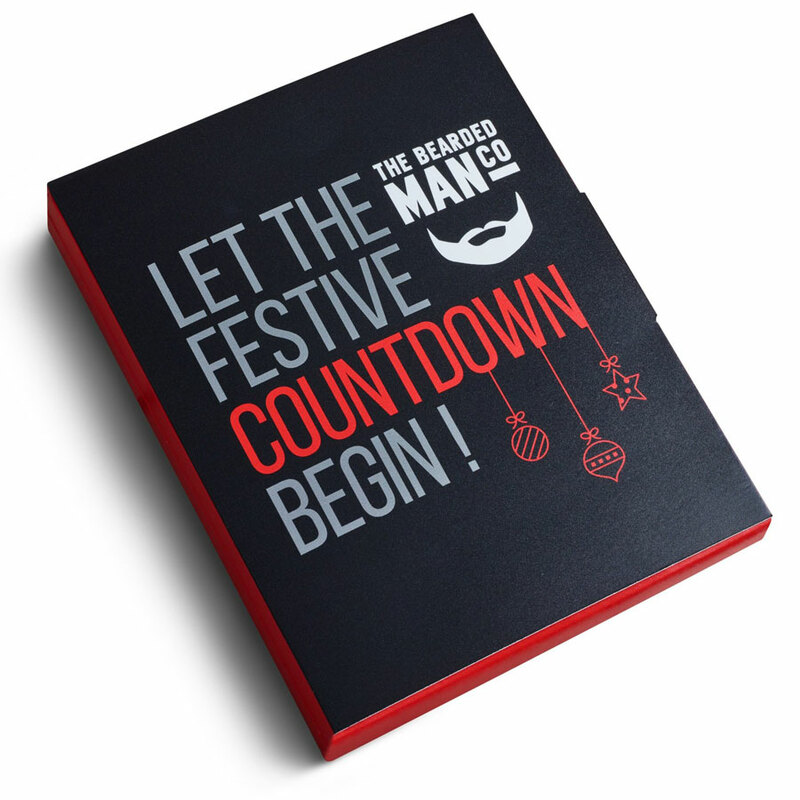 If you love to sample new craft beers, then this is definitely the advent calendar for you! 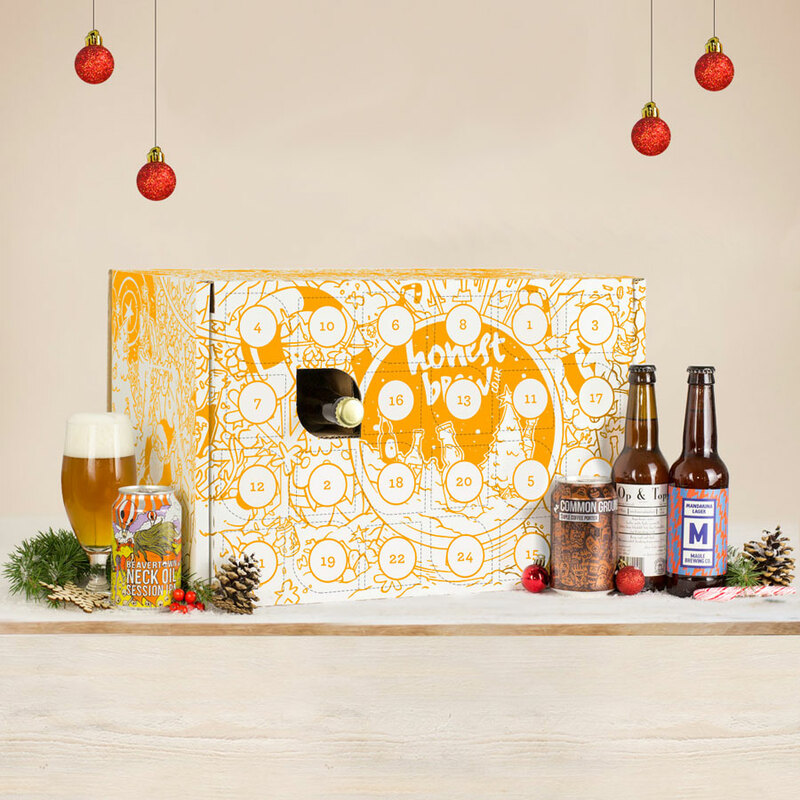 Featuring 24 unique beers, HonestBrew’s craft beer advent calendar is chock full of 19 styles, such as pales, IPAs, stouts, porters, and sours. As a bonus, you will also receive a £10 beer voucher for your next purchase. 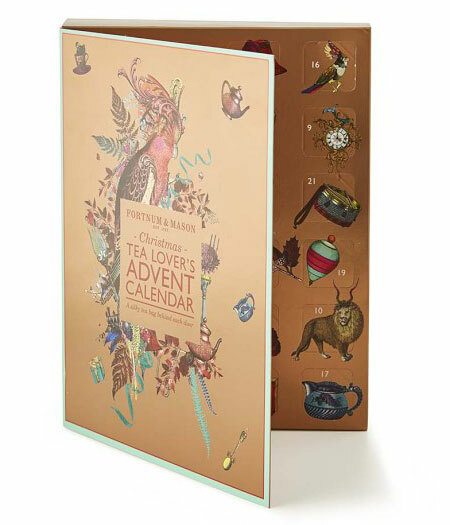 Behind each door of this Fortnum & Mason tea advent calendar, you will find a new rare tea from India or the Far East like Kotada Silver Tips or Rose Pouchong. 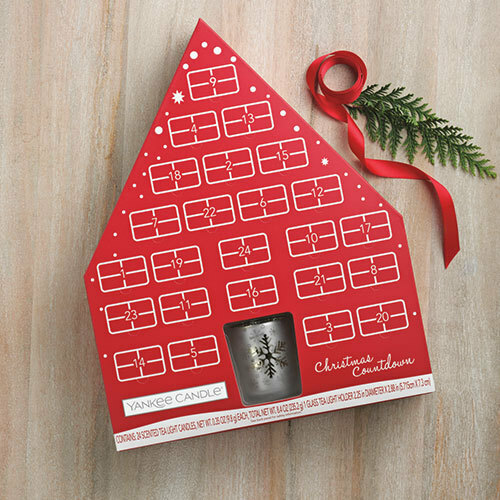 With this calendar, you’ll get to enjoy a quiet moment each day during the busy holiday season as you pause to drink a cuppa. Fill your home with festive fragrances with this countdown calendar from Yankee Candle. It includes a frosted glass candleholder and candles in 12 scents, such as balsam & cedar and sugared apple. 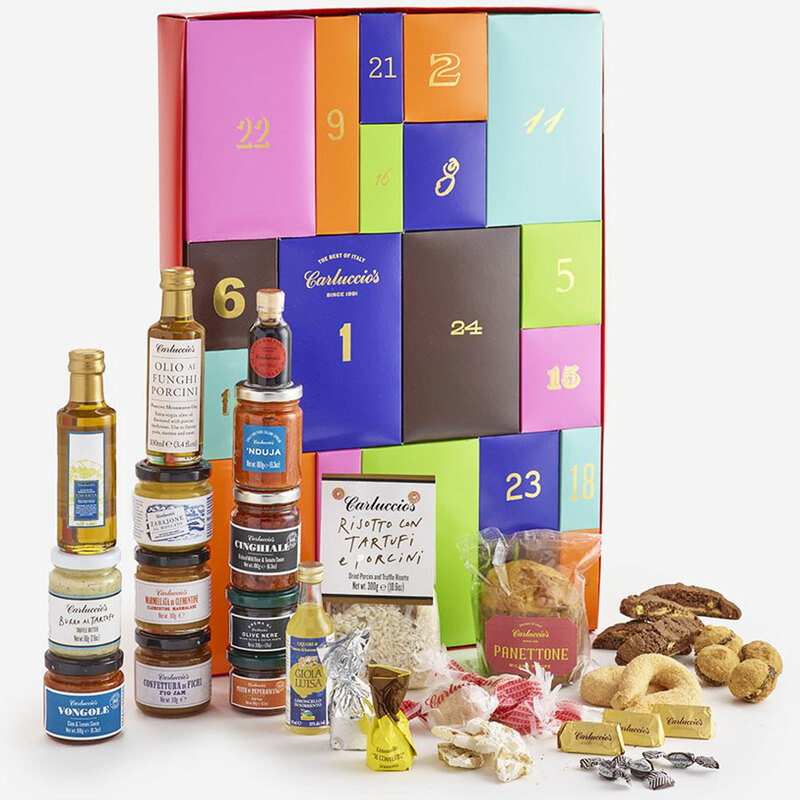 Relish the tastes of Italy with this limited edition advent calendar from Carluccio’s. Featuring both sweet and savoury items, this calendar contains amaretti tradizionali [handmade amaretti biscuits], Limoncello, burro al tartufo [truffle butter], and loads more. Yum! 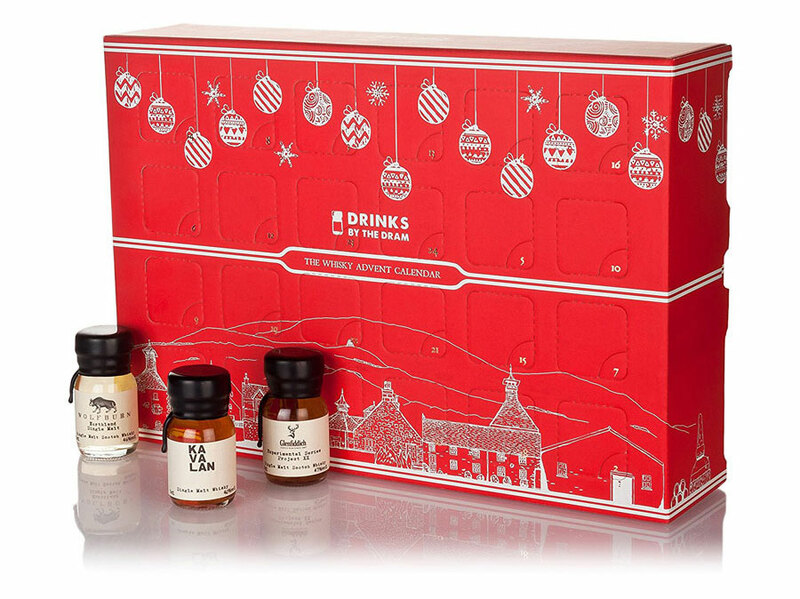 This whisky advent calendar is a fantastic way to sample new whiskies without having to purchase an entire bottle. Behind each window is a 3cl wax-sealed dram of whisky from Scotland, Ireland, the US, or elsewhere in the world. There’s even a dram of a whisky that’s worth £600 a bottle somewhere inside! 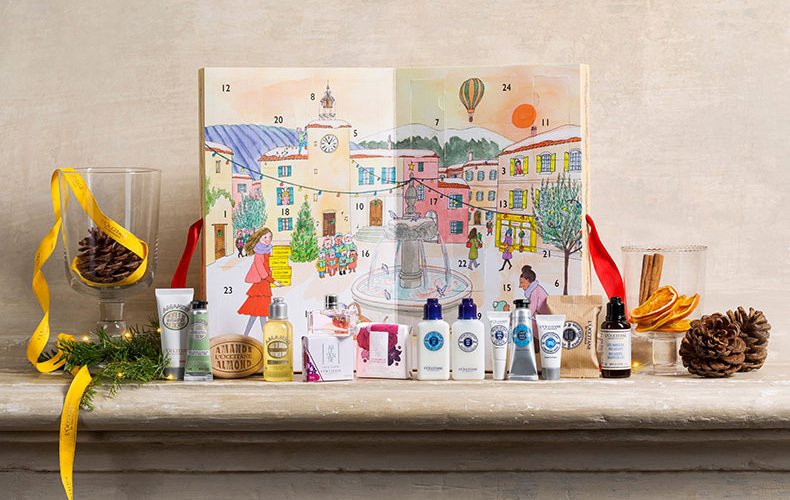 Pamper yourself with this advent calendar from L’Occitane en Provence. With goodies such as Aromachologie Revitalizing Sugar Cube, Almond Delicious Soap, and Shea Butter Lip Balm, you’ll feel refreshed and beautiful. 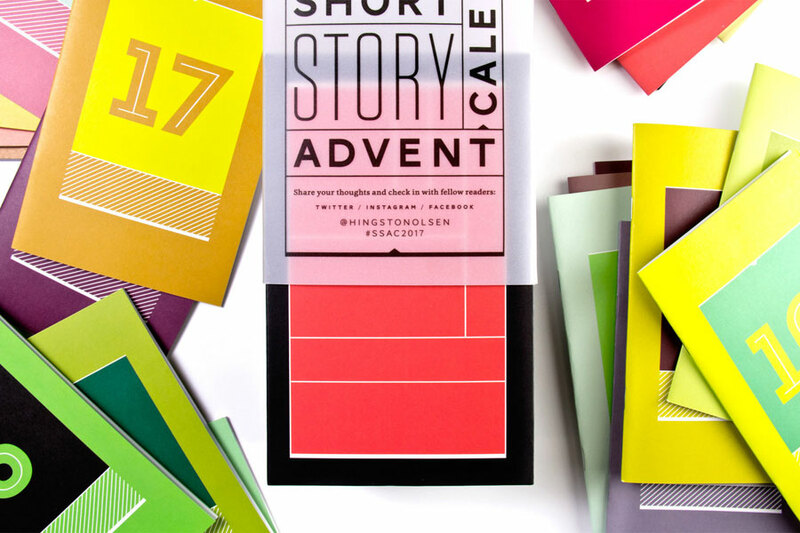 Enjoy a new tale every day with the 2017 Short Story Advent Calendar. The booklets are individually sealed [no peeking ahead!] and come in a slipcase with a vellum sleeve, so this collection will look nice on your bookshelf after the holidays. 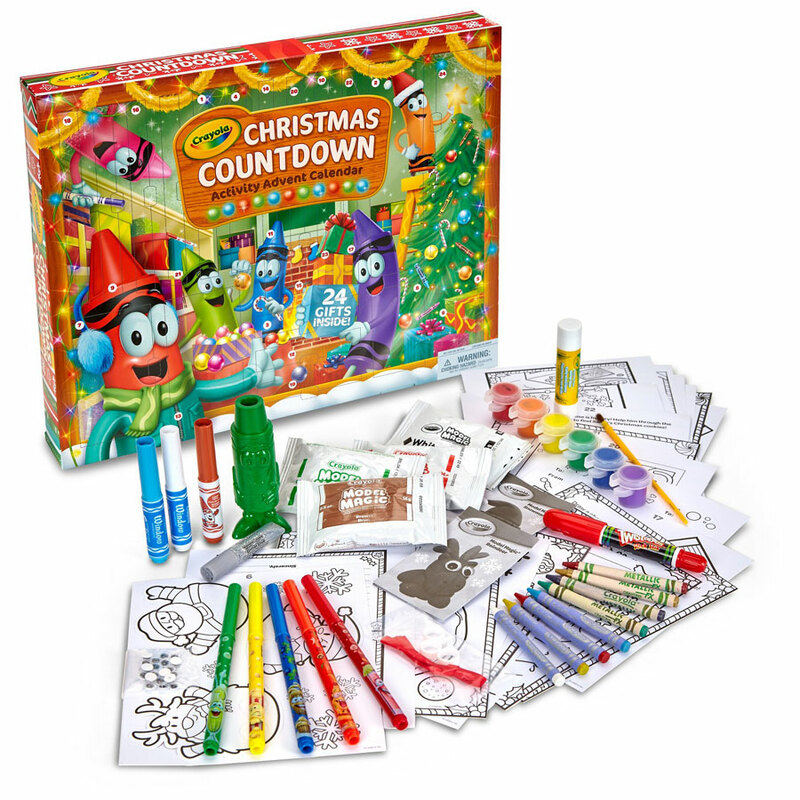 If your kiddo receives enough sweets and toys for Christmas, consider this Christmas Countdown Activity Advent Calendar from Crayola. Jampacked with art supplies, your child will stay busy making ornaments, finger puppets, and other holiday craft projects. 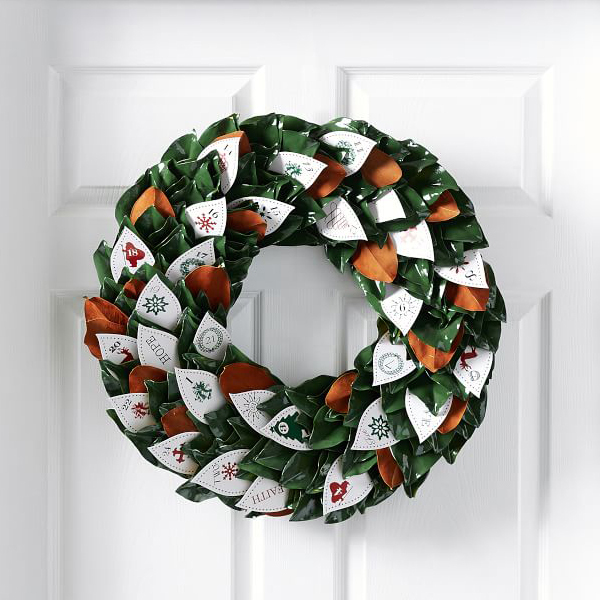 Both an advent calendar and a piece of holiday decor, this gorgeous magnolia wreath is accented with paper leaves number 1 through 24. Each day, flip over a paper leaf to reveal an act of kindness or other activity to do as a family. Heartwarming and beautiful!